1 Duplex Penthouse and 4 lateral apartments with spectacular design, style and finish located in the hub of London’s West End and close to Bond Street and Regents Park. 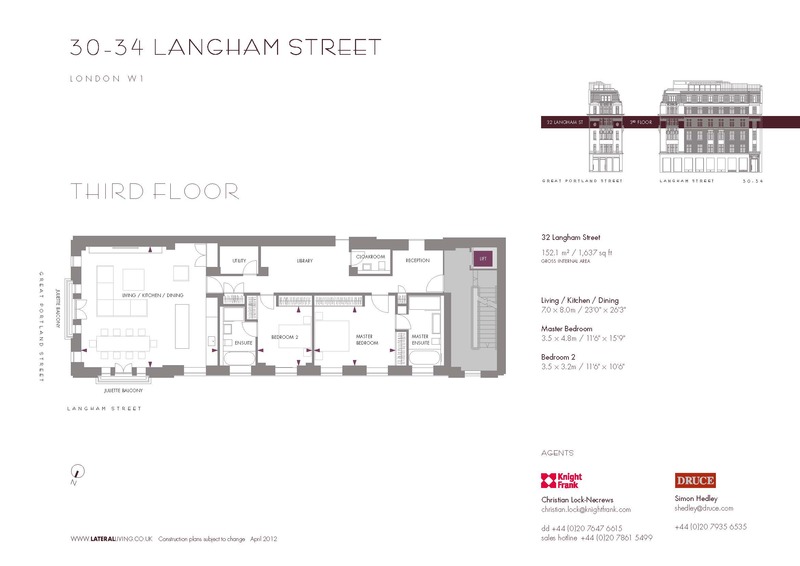 30-34 Langham Street is a magnificent stone fronted building with high windows, sculpted balcony and fine London views over Fitzrovia. 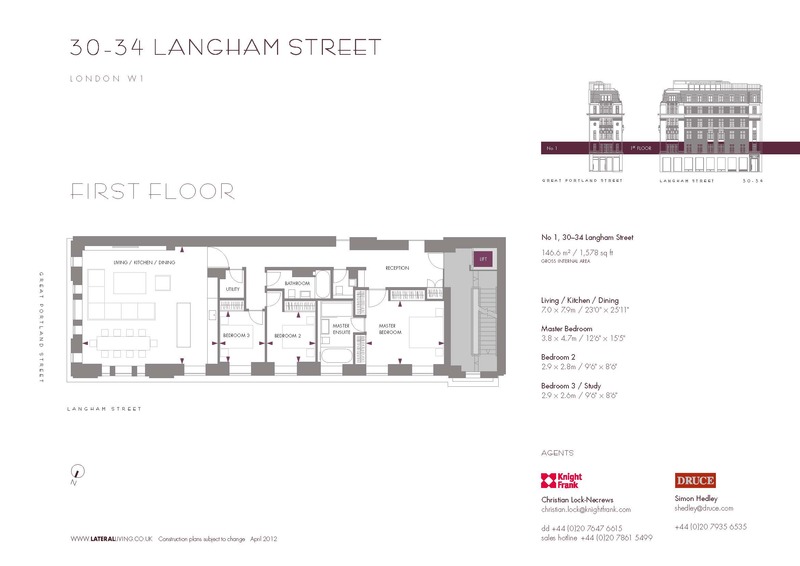 2-3 Bedroom apartments between 1625 and 1869 ft2. Price starting from £3,135,000.